Holds 2 regular size 2-5/8 oz cupcakes. 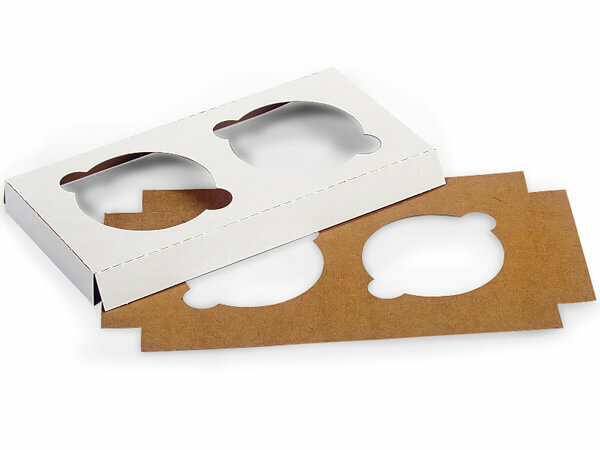 Fits our 8x4x4" Bakery Boxes BBCH844, BBPK844, BBWH844 for 2 cupcakes or use two of these inserts in our 8x8x4" Bakery Boxes BBCH884, BBPK884 & BBWH884 for 4 cupcakes. Complies with FDA regulations for food packaging. Made in the USA.